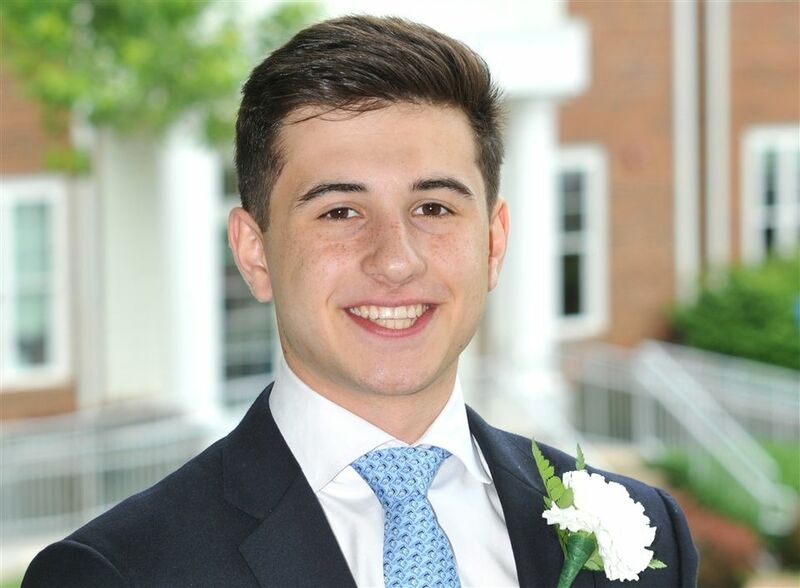 Before Alex Schachne '18 begins college at Johns Hopkins University in the fall, he will be continuing his work as a paid intern for ESGINE, an early-stage technology company. ESGINE develops software, enhanced by artificial intelligence, that evaluates business models for specific environmental, social and corporate governance (ESG) criteria. For many investors, a strong ESG profile indicates a company's potential for sustainable growth, but—as Alex has learned through his internship—quantifying ESG can be tricky. "Right now, there is a lot of buzz about ESG, but there are no standard guidelines for reporting," he says. "At ESGINE, I have been working since March with the research team to help train the software to filter through documents and identify certain kinds of information that relate to ESG." Alex has long been interested in technology and the potential of AI, but this internship represents uncharted territory for him. "I met the CEO of the company at a social event, and we started talking," he says smiling. "I didn't have any background in the work; the most important qualifications I had were being able to research, understand complex texts and learn on my own." While some might find a steep learning curve daunting, Alex has always welcomed the chance to master something new. 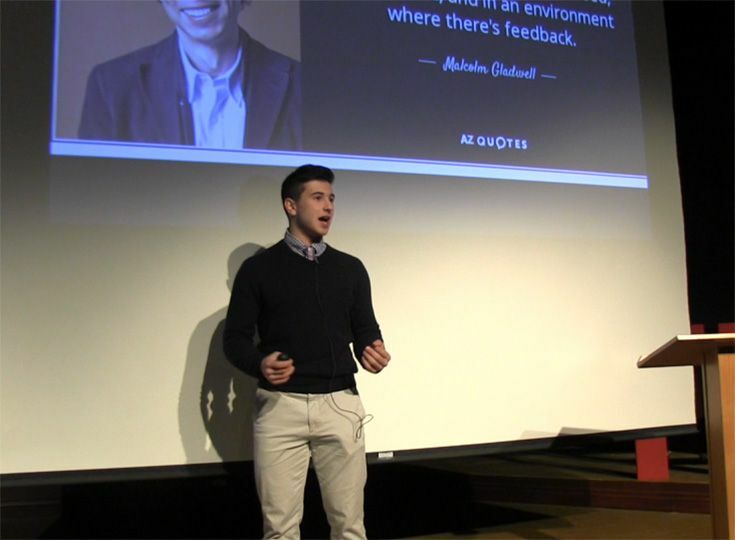 In fact, in a TEDx talk he presented during his junior year, Alex argued that "only by focusing on what you can't do, can you become an expert in something." In keeping with this mindset, Alex undertook an independent study in his senior year to learn music theory. Although Upper School music teacher David Southerland offers a course in music theory, there was no room for it in Alex's schedule. So, the two worked together during meeting periods. As a four-year member of the Upper School choir, music had always been a big part of Alex's day, and music theory opened up the possibility of composing as well as performing. "I know that I want to stay involved with music next year. It may be as part of a group or I may try producing some music on my own. We'll have to see." 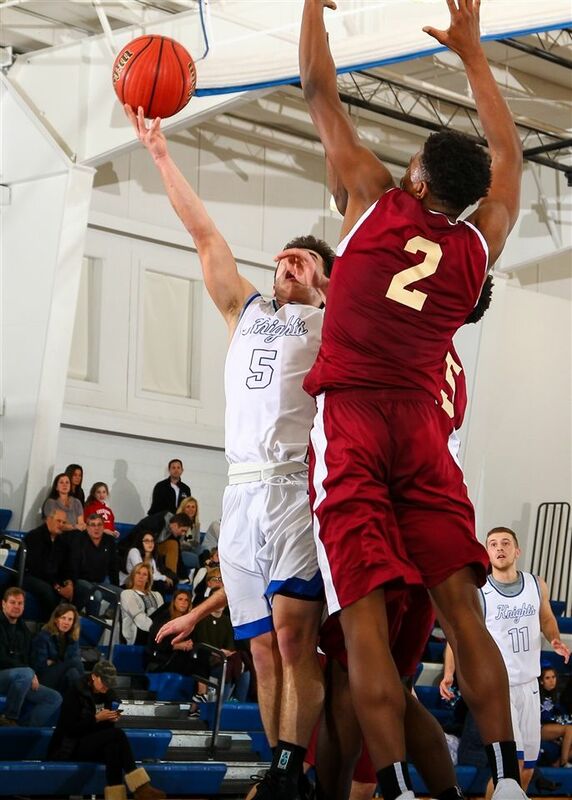 With so much still to be decided, one thing is definitely on Alex's schedule for next year: playing basketball for the JHU Blue Jays. While Knights fans will miss the super-sharp point guard who helped his team to four-straight conference titles and hit 1,000 points and 500 assists in his career with Gill, they couldn't be happier for him as he moves forward.